An effective treatment for beef and swine respiratory disease and swine mycoplasmal arthritis, erysipelas and dysentery. 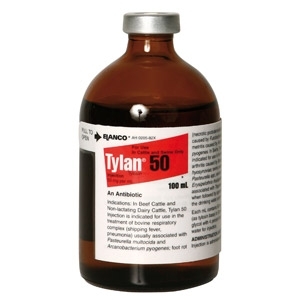 Tylan® 50 has good syringeability and needs no refrigeration. Tylan® is a registered trademark for Elanco's brand of tylosin.